Kesha joined Homewood Student Affairs as Director of Parent and Family Relations in October 2017. In her role, Kesha focuses on the transition and academic success of Johns Hopkins students by serving as the link between Blue Jay families and the university. In addition, Kesha liaises with departments across campus and provides programming and materials to support Blue Jay Families as they navigate the many aspects of the university experience. Kesha has over 20 years of experience in higher education, with almost 10 years spent in parent and family relations at the University of North Carolina at Charlotte and, most recently, at Northern Illinois University. 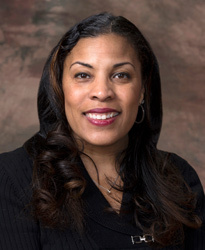 At NIU, Kesha managed all aspects of the Family Connections program and Family Orientation, and worked extensively with NIU’s large population of first-generation students. Kesha currently serves on the executive board for the Association of Higher Education Parent/Family Program Professionals. She looks forward to working closely with all of our Blue Jay Families. Kesha can be reached at 410-516-7355 or kwill189@jhu.edu. 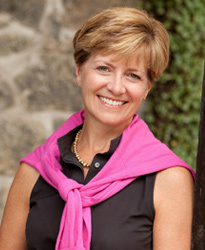 Carol has directed the Parents Programs and Giving office on the Homewood campus since February 2009. Parents Programs and Giving, a division of Development and Alumni Relations, facilitates strong engagement and philanthropic support from the undergraduate parent and family community. Carol previously directed similar programs in Texas and Michigan before coming to JHU. Carol earned her Master of Liberal Arts from Southern Methodist University. She also holds a Bachelor of Science in Marketing-Management from St. Joseph’s University in Philadelphia. Carol has sent two children off to college, so she is very familiar with the transition and the university parent experience. Carol can be reached at 410-516-3416 or clorton1@jhu.edu.